# Returns Array containing number exceeding limit_age. 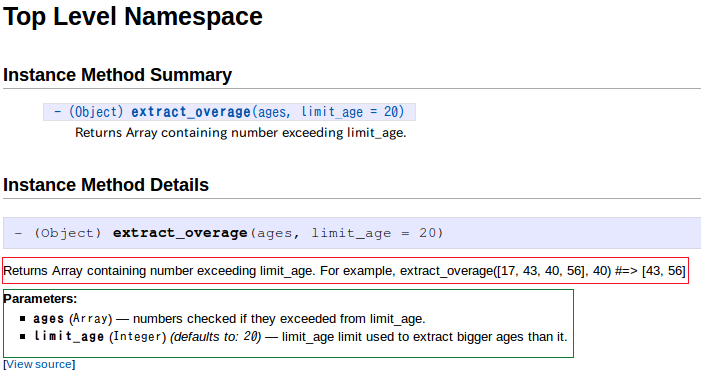 # @param ages [Array] numbers checked if they exceeded from limit_age. #   bigger ages than it. # Returns Array containing numbers exceeding limit_age. # Generates Array containing numbers exceeding limit_age. Numbers is members of ages. # @return [Array] Returns Array containing numbers exceeding limit_age.